After nearly two years of full time development, the critically acclaimed sequel to Flatspace hyperspaced into existence the end of 2005 and was continually updated for over a decade. Like Flatspace, Flatspace II is a space trading game with role playing elements and an emphasis on freedom and exploration. You are given a starship and you are free to make a living in many ways including trading cargo, bounty hunting, space piracy, performing missions or just exploring. 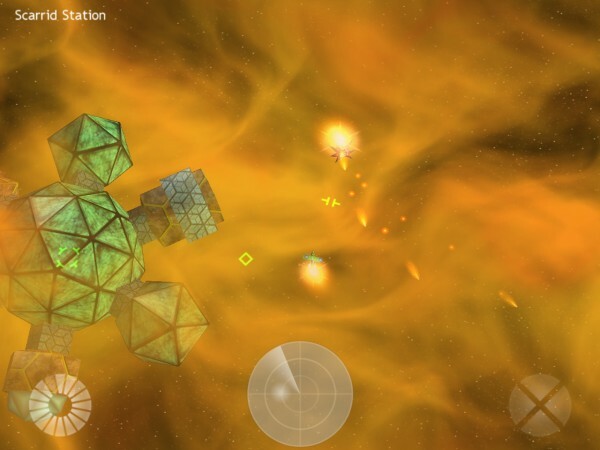 The ultimate objective in Flatspace II is to destroy an enemy race, the Scarrid Imperium, but there are many other goals for the player, all of which are optional. These include gaining money for new equipment and ships, climbing up various ranks, or finding official game secrets. There are lots of changes compared to the first Flatspace game. There are different station types, such as space factories and schools, and you can buy stations as well as pilot every ship in the game universe. There are twice as many graphics as in the original game, and lots of new ships and equipment. There are more custom universes, and new difficulty settings make the game easier for beginner players compared to the first Flatspace game. Sci-Fi (Review Extract): "...let's get one thing straight: Fans of Elite who could do without the superfluous mental gymnastics of games like Egosoft's X series but who need more than mere stock-market tic-tac-toe should give the free (and small, at 12.5 MB) downloadable demo a look. And barring any adolescent (in gamer years) hangups about its budget graphics, chances are you'll be hooked for hours, days, weeks, even months to come." Game Tunnel (Review Extract): "The game looks and feels like the original game, but it is definitely easier for new players and great fun for veterans as well." Flatspace II is no longer for sale. Flatspace IIk, a sequel which built upon Flatspace II, was released in 2012 and continues to be supported.